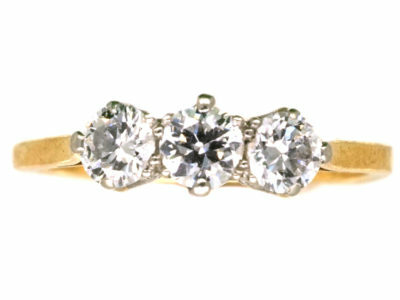 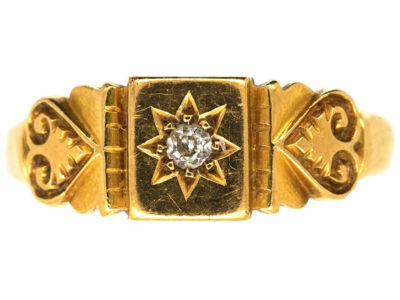 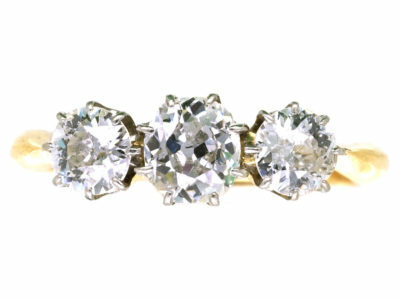 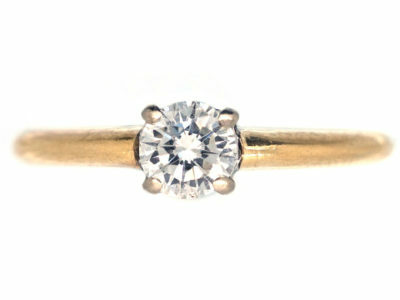 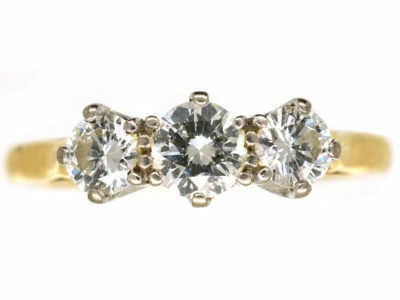 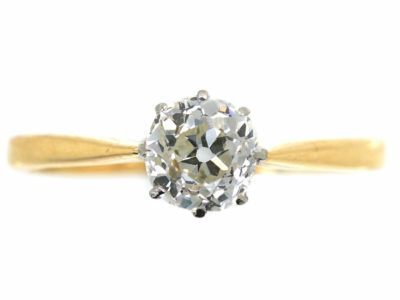 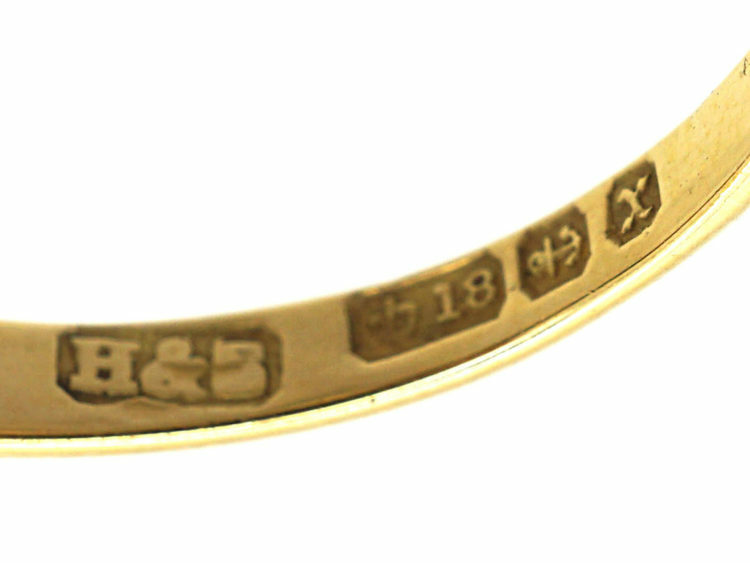 A lovely 18ct gold ring that was made in 1897 in Birmingham. 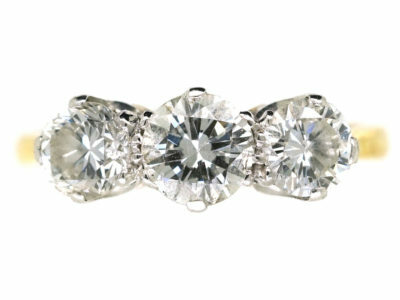 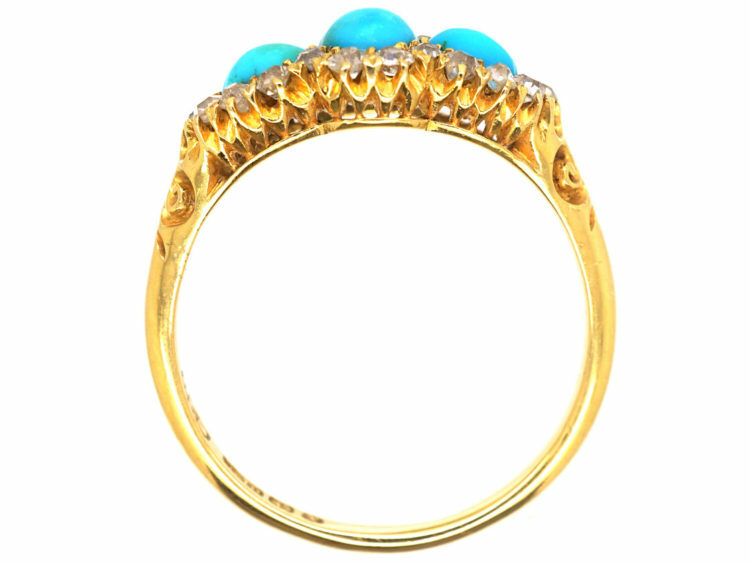 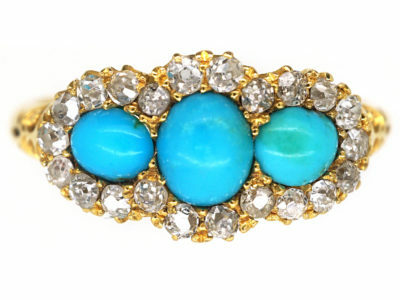 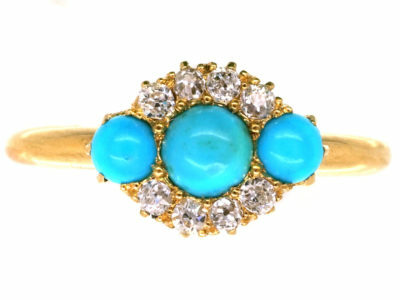 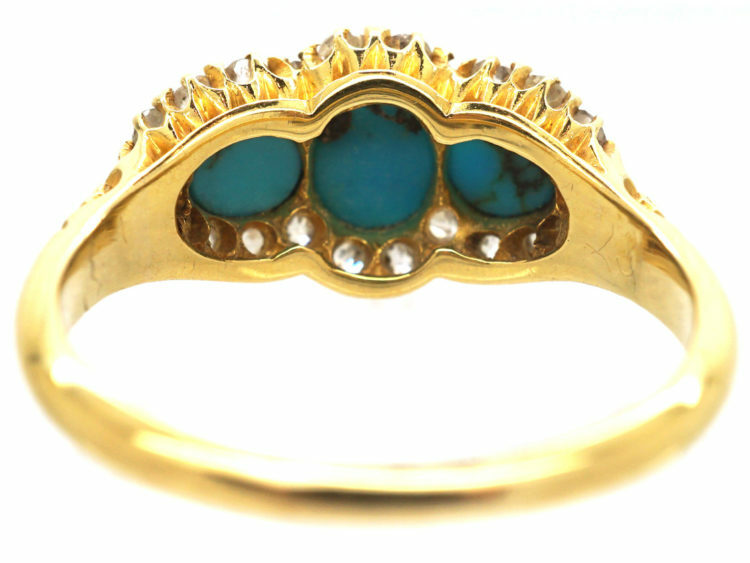 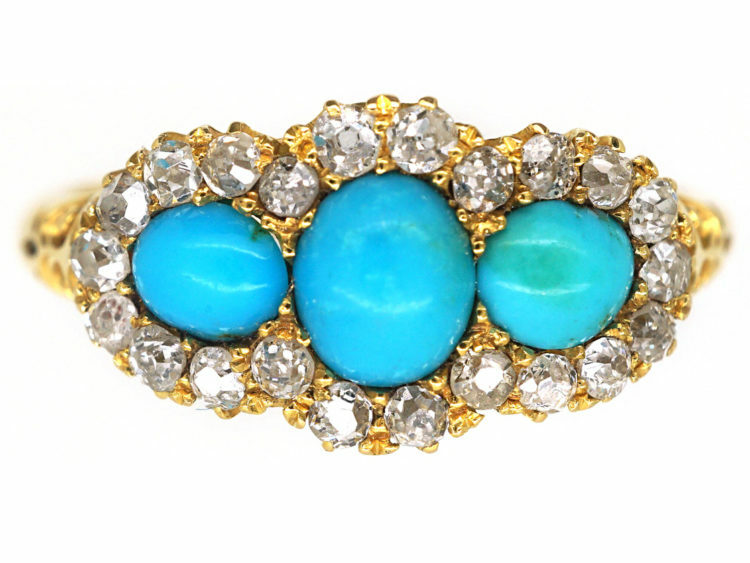 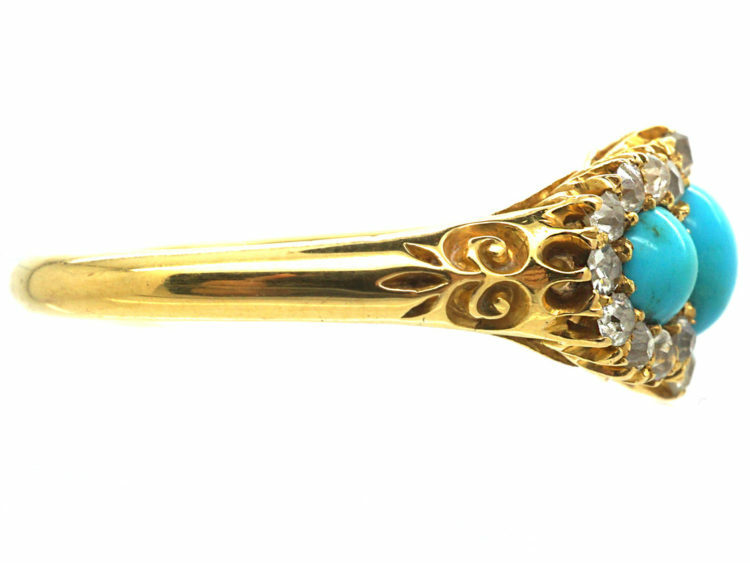 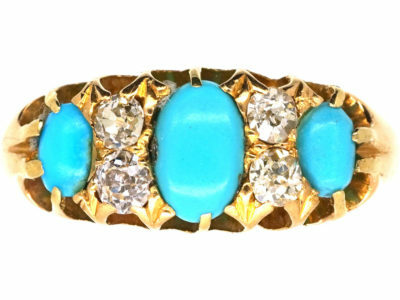 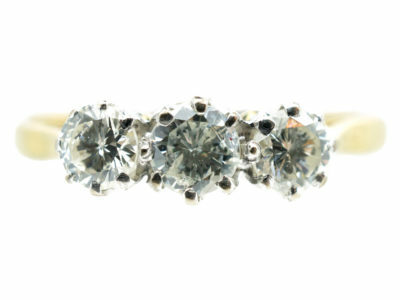 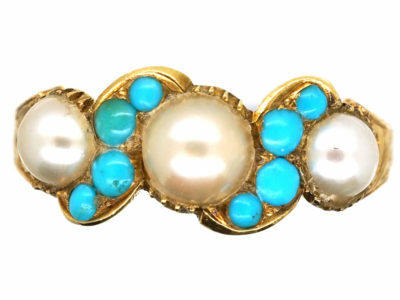 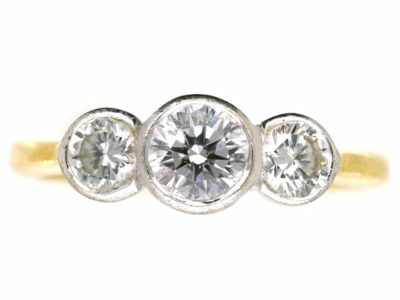 It has been set with three turquoise with small old mine cut diamonds framing them. 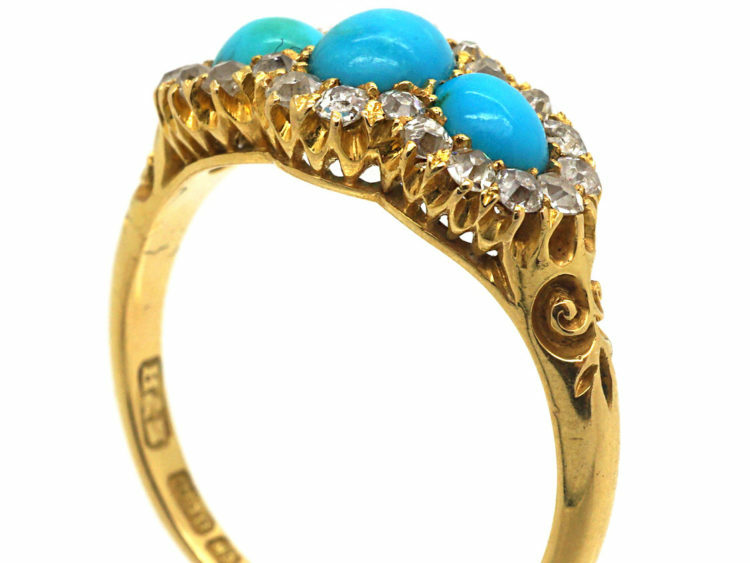 The meaning behind the use of turquoise when it comes to engagement rings, is a trustworthy relationship. 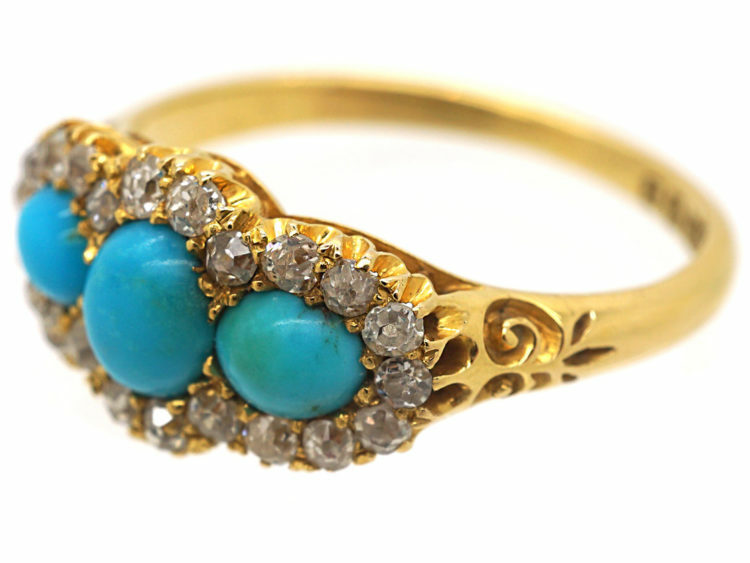 Every marriage must be built on trust, and this antique turquoise engagement ring can signify this trust, and be a constant reminder throughout your marriage.